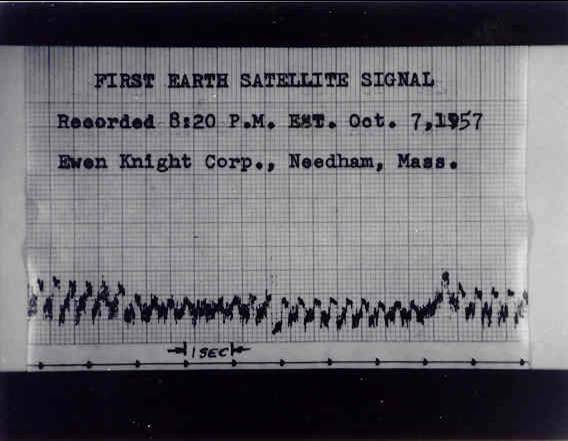 Chart recording of signal from Sputnik, the first artificial earth satellite. Perimeter surveillance and eavesdropping over the horizon were suddenly obsolete, and defense activities moved from land and sea perimeters to space. Radio astronomy benefited from both pre- and post-Sputnik technology. Credit: slide courtesy of Doc Ewen, from Jack Campbell's original signal reception and display.